We are all living in Hybrid War time. From R2P (“responsibility to protect”) to color revolutions, from currency attacks to stock market manipulations. From judicial-financial-political-media enabled “soft” coups – as in Brazil – to support for “moderate” jihadis, multiple stages of Hybrid War now cross-pollinate and generate a vortex of new mutant viruses. 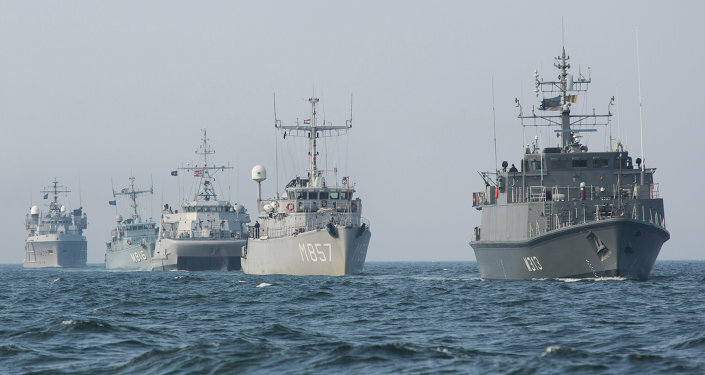 NATO's Surge in the Baltics: Trying to Show Putin Who's in Charge? Hybrid War, a Beltway concept, has even been turned upside down by the conceptualizers. NATO, affecting puzzlement at the very existence of the concept, interprets the Russian “invasion” of Ukraine as Hybrid War. That serves prime Hybrid War purveyors such as the RAND corporation to take it further, peddling war game scenarios of Russia being able to invade and conquer the Baltic states — Estonia, Latvia, and Lithuania — in less than 60 hours. And that, in turn, foments even more Western military hysteria, encapsulated by the new NATO commander, a.k.a. Dr. Strangelove; Gen. Curtis Scaparrotti, who made sure he would come up with a stage entrance worthy of his predecessor, Philip Breedlove/ Breedhate. Slightly amused at the whole conceptual circus, Russians respond with actions. Extra deployments in our Western borderlands? No problem; here’s your asymmetrical answer. And say hello, soon, to our new toy: the S-500s. The notion that Moscow would have any interest at all to capture Baltic states is ludicrous in itself. But with the evidence of direct occupation of Afghanistan (the Taliban will never quit) and R2P in Libya (a failed state devastated by militias) spelling miserable failure, NATO badly needs a “success”. Enter warmongering rhetoric and conceptual manipulation – and this when it’s actually Washington that is deploying Hybrid War all across the chessboard. Reality occurs beyond NATO’s looking glass. Russia is way ahead of the Pentagon/NATO in A2AD — anti-access/area denial; Russian missiles and submarines may easily prevent NATO fighter jets from flying in Central Europe and NATO ships from “patrolling” the Baltic Sea. For the “indispensable nation”, that hurts – so bad. Relentless rhetorical hysteria masks the real high-stakes game in play. And that’s where US presidential candidate Hillary Clinton fits in. Throughout her campaign, Clinton has extolled “a major strategic objective of our transatlantic alliance”. The major “strategic objective” is none other than the Transatlantic Trade and Investment Partnership (TTIP) – a NATO-on-trade complementing political and military NATO. The fact that TTIP, after the latest Dutch leaks, now runs the risk of being mired in Walking Dead territory may be a temporary setback. The imperial “project” is clear; to configure NATO, which already mutated into a global Robocop (Afghanistan, Libya, Syria), into an integrated political-economic-commercial-military alliance. Always under Washington’s command, of course. And including key peripheral vassals/contributors, such as the Gulf petromonarchies and Israel. The imperial “enemy”, of course, would have to be the only authentic project available for the 21st century: Eurasia integration – which ranges from the Chinese-led New Silk Roads to the Russia-led Eurasia Economic Union; BRICS integration, which includes their New Development Bank (NDB), in tandem with the Chinese Asian Infrastructure Investment Bank (AIIB); a resurgent, still independent Iran – Eurasia-connected; and all other independent poles among Non-Aligned Movement (NAM) nations. This is the ultimate, ongoing 21st confrontation that will keep generating multiple, localized hybrid warfare forms – as it takes place not only across Eurasia but across the whole Global South. It’s all interlocked – from Maidan to the secret TTIP negotiations; from provoking China in the South China Sea to an oil price war and an attack on the ruble; from the NSA spying on Petrobras feeding a slow motion, legalistic regime change process in Brazil to an EU ravaged by twin plagues; a refugee crisis ultimately provoked by NATO’s wars (and instrumentalized by Turkey) coupled with Salafi-jhadi terrorism also spawned by the same wars. Even with France and Germany still dithering – as in paying too heavy a price for sanctions on Russia — Washington’s “project” counts on a ravaged EU being a perpetual hostage of NATO. And ultimately, a hostage of NATO on trade – because of those US geostrategic imperatives against Eurasia integration. This implies another necessity; the conceptual war – it’s the evil Russians who are waging Hybrid War, not us! — must be won at all costs, by instilling constant fear into the average EU citizen. In parallel, it’s also essential to put on a show; thus one of the most massive US-designed military operations on European soil since the end of the Cold War – complete with Navy and Air Force displaying nuclear capability. This is the new normal; Cold War 2.0, 24/7.